This is not the first time Sapna, along with Bani, has accepted that love is something that unites everyone. 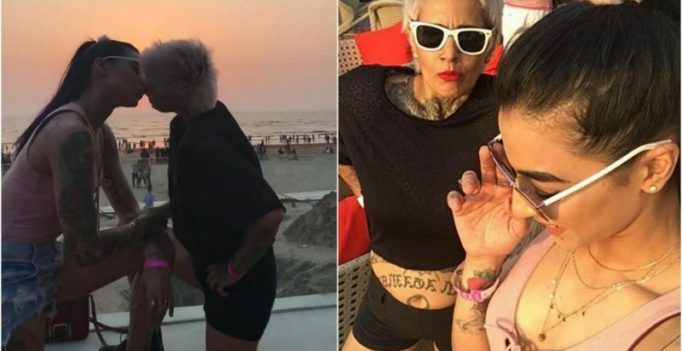 New Delhi: The people who were little observant on the net yesterday must have come across the ‘viral pictures’ of Bani J and Sapna Bhavnani kissing each other. 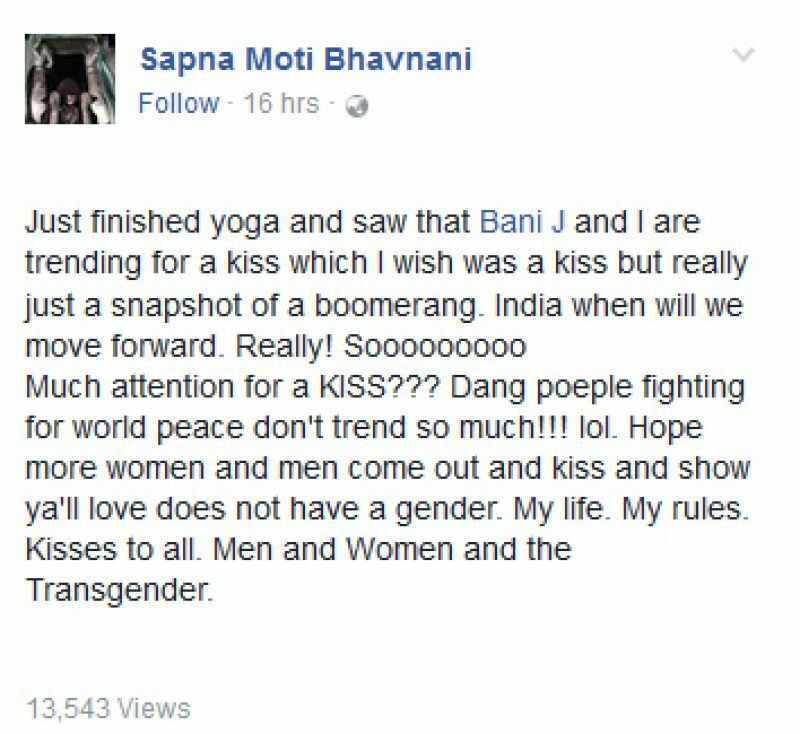 Finally, Sapna Bhavnani has reacted to the entire façade by saying “love has no gender”. In a Facebook post, the reality television star clarified that it was not a kiss and was just a snapshot of a Boomerang video. The Internet went berserk around the duo’s Boomerang video, clicked at a music festival, where they were apparently seen kissing. This is not the first time Sapna, along with Bani, has accepted that love is something that unites everyone. They both are known for defying stereotypes. While Sapna has been vocal about being bisexual, Bani is rumored to be dating television actor Yuvraj Thakur, who shot to fame with a show on MTV India.